. Yes, we’re talking about the Silversea Cruises’ representative, Silver Spirit that has just left drydock after a 2-month refurbishment. 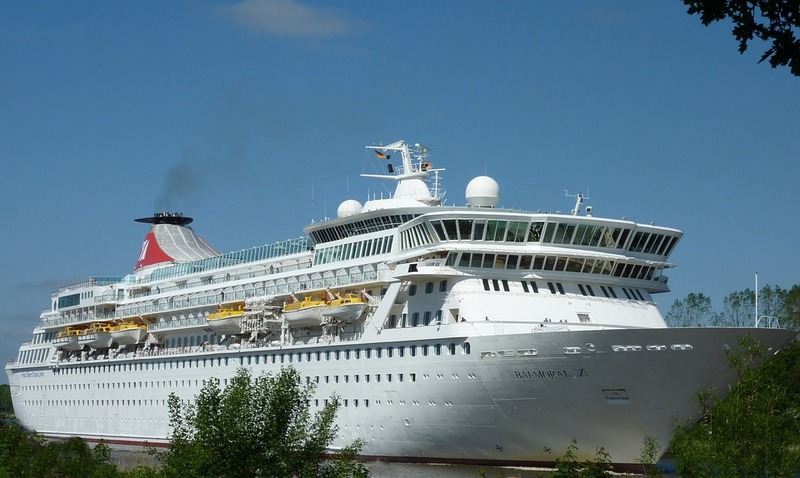 We were so impressed by the process of the ship extension that we decided to check several more stories about the cruise liners that were lengthened. We were fortunate to find exciting videos, and, of course, we can’t help but share them with you. Let’s go! In spring 2015, the Royal Caribbean International’s Enchantment of the Seas spent several weeks in Rotterdam, the Netherlands. There she was cut in half, and a new 22.3 m (73 ft) section was inserted. After the lengthening, the cruise ship received 151 extra cabins and new public spaces. Balmoral cruise ship extension took place in 2007-2008, after Fred. Olsen Cruise Lines took the delivery of the former Norwegian Crown and renamed her. The vessel was added a 30 m (99 ft) midsection at the Blohm + Voss shipyard in Hamburg, Germany. As a result of this major refurbishment, Balmoral got 186 new passenger and 53 crew staterooms. Her tonnage changed from 34,242 GT to 43,537 GT, and capacity – from 1,230 guests to 1,778 guests. MS Braemar, another representative of Fred. Olsen Cruise Lines, also underwent a 31 m long (101.7 ft) extension at the Blom + Voss shipyard in Germany in 2008. Her new tonnage was 24,344 GT (compared to original 19,089 GT), and her capacity increased to 929 travelers (compared to original 729 travelers). In 2014, MSC Armonia underwent significant renovation as a part of the MSC Cruises’ Renaissance Program. She became the 1s representative of her fleet to be enlarged. The 24 m (78.7 ft) section was inserted at Fincantieri shipyard in Palermo, Sicily. The project was completed in just 11 weeks. MSC Armonia received 193 new cabins and public spaces, including kids areas and library. In 2015, MSC Sinfonia also got the 24 m (79 ft) long section with 193 extra cabins. Her renovation took place at the same shipyard (in Palermo) and lasted ten weeks. The ship tonnage increased from 58,625 GT to 65,542 GT, and capacity – from 2,087 guests (all berths) to 2,679 guests. By the way, two more members of the MSC fleet, Opera and Lirica, were extended in 2015 as a part of the Renaissance Program. Well, it’s time to return to Silver Spirit that became one of the most discussed cruise liners this spring. The vessel was cut in half at Fincantieri shipyard in Palermo, and a 15 m (49 ft) additional segment was inserted. As a result, Silver Spirit was lengthened from 195.8 m (642.4 ft) to 210.7m (691.3 ft.). Her tonnage increased from 36,009 GT to 39,519 GT, and capacity - from 540 to 608 cruise lovers. Of course, the history of cruises has other cases of such an extensive renovation. However, numerous ambitious plans for the lengthening of liners remained only on paper. For example, RCI intended to lengthen the Enchantment of the Seas sister, Grandeur of the Seas. Besides, the company had tentative plans to lengthen other members of the Vision family of cruise liners. However, it never happened since the Enchantment of the Seas project appeared to be prohibitively expensive (although it was successful). What is your opinion about it? Do you think the extension of old cruise ships is an appropriate way to meet the growing demand for the cruise vacation? Or would it be much better to leave the beloved old vessels as they are and build new megaliners?